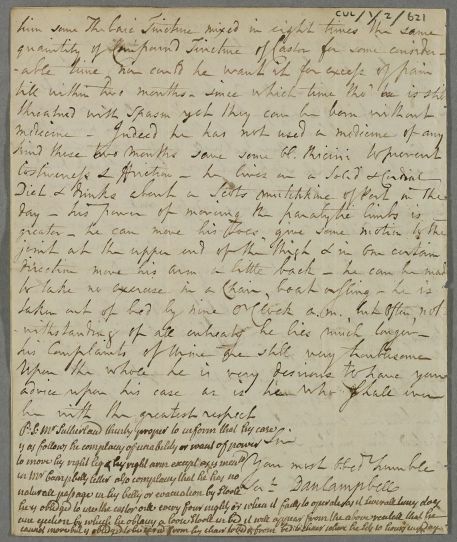 Letter from Daniel Campbell, a former pupil of Cullen, regarding the case of Mr Sutherland of Clyne, whom he has been treating for hemiplegia of the right side. The patient, who is long known to Cullen, also suffers from spasms in the paralysed limbs, urinary problems and costiveness. Campbell describes the treatments given. There is a postscript in another hand, possibly by the patient or a family member. 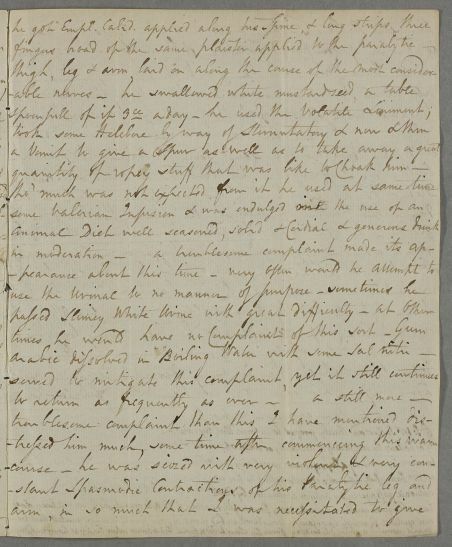 Summary Letter from Daniel Campbell, a former pupil of Cullen, regarding the case of Mr Sutherland of Clyne, whom he has been treating for hemiplegia of the right side. The patient, who is long known to Cullen, also suffers from spasms in the paralysed limbs, urinary problems and costiveness. Campbell describes the treatments given. There is a postscript in another hand, possibly by the patient or a family member. 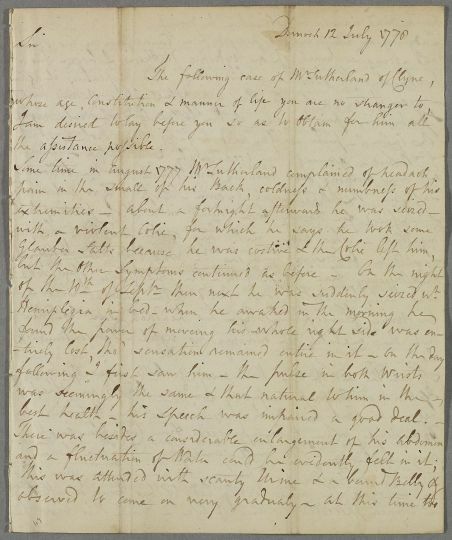 Case of Mr Sutherland of Clyne who has had a paralytic stroke (palsy), and two years later develops a suspected bladder stone (see also notes for Document 36141 which might be related to this case). 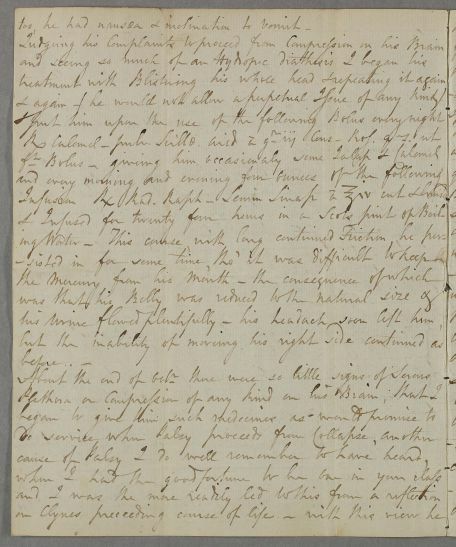 too, he had nausea & inclination to vomit. cannot move but is oblidged to be caried from his chair to bed or from bed to chair where he sits 10 hours every day. of the 10th of Septr then next he was suddenly seized wt.